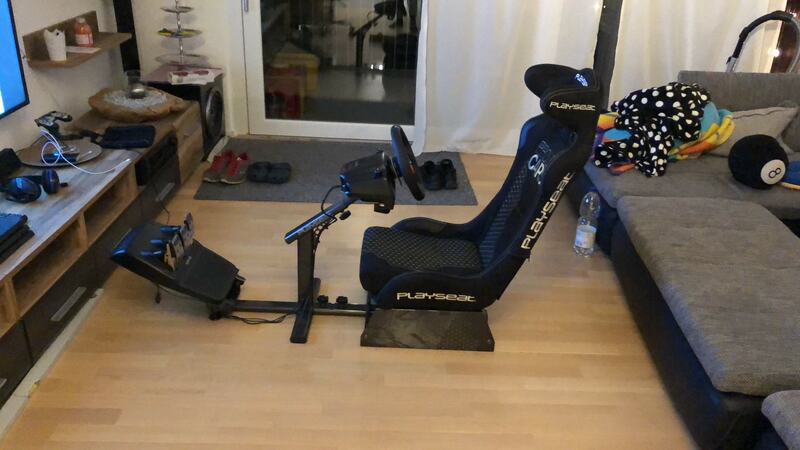 A playseat is a seat that can be connected to a game console or a computer and reacts to events in the game (e.g. with vibrations). Pedalen Halterung verbogen, musste es verstärken, absolute Katastrophe bei diesem Preis nicht zu erwarten. Das Qualitativ muss ich zurück nehmen.